Odeniran Deborah Olamide: Entrepreneurs Corner : What You Need To start A Business. Entrepreneurs Corner : What You Need To start A Business. Just this morning I thought of starting something new on my blog. I had to think of giving it a general title as "entrepreneur's corner". Today, we're talking about how to start a business. With the situation of the economy and the high rate of unemployment in the country, I won't advise you to sit back, relax, send CVs, attend interviews and chill for your " congratulatory letter " from the firm. Even before the job comes, find something doing. Here's why I'm starting this post to motivate those who wants to start but don't know how. It's a different thing to have a business idea and it's another thing to begin plans on how to make that idea turn reality. 1. BE PASSIONATE : So many people start a business cos that style is trending or cos lot of people are making money from it. Truth is you can learn that trade but you can never learn! let alone buy passion. Never! Passion goes a long way, those people that innovates new dress Styles, new beaded Styles, crazy ideas. They were so passionate about their trade/field. Recently, I was told of a lady who tried to learn one of the simplest Styles in beading. She'll come back every week complaining of not getting the particular style her tutor taught her in the previous class. This didn't happen once or twice. It kept repeating itself. All I could say is "she's not passionate". One who is passionate, even if the person is naturally a slow learner, when it comes to what he really wants to achieve, You'll realize he is the opposite of what you think he is. I've promised myself that when I own an Institute, I'll set up a questionnaire for each prospective trainee. This is to know how passionate they are in learning that skill. It pays to have 5 passionate trainees than have 30 non- passionate people in my institute as trainees. So, are you passionate? 2. MAKE ENQUIRIES : No one knows it all. You want to start something new. Ask people who you know has been in that field. Be open to them and ask where you can get good products, wholesales price and all. A closed mouth is a closed destiny. Lol. As an entrepreneur, you have to wisen up on discount sales too. Lol. I'm not saying you should buy fake products to use for clients but try to know where one can get good products perhaps from the retailers / wholesalers. 3. START LITTLE : who says you can't start little with any business you want to embark on?. I just said any business, yah! I know what I typed. I won't call myself a jack of all trade. Let me give you a little hint of what I do before we delve into this point. I'm a make up artist, a beader and a part time hair Stylist. I started beading with 15k, paid 10k for my training and bought materials at a very cheap rate at trade fair. As a make up artist, you might probably start with 20k, 30k or less than(asides the fee for you tutor) . Depends on all you really need. All you need to start is just a little push, the longer you wait for more money to come, the more you delay your dreams. You're a Stylist, you don't even need to spend much. It's not a must that you own a shop, first build your brand by making sure your job speaks well for you. All you need is to make good use of your hands and money is paid for your time well spent. If your handwork speaks for you, definitely more clients will be referred to you and as time goes. You could own your space. 4. WRITE OUT YOUR PLANS: I have an inbuilt(in my head) and handwritten(Scribbled down ) plan of how I want my business to be in future. Make a to-do list. Change is constant, good change though. It's not motivating enough for you start a business and it's not moving out the way you planned. Write it out and work on ways towards how it can be achieved. 5. MAKE RESEARCH : You can't know it all from your boss/ tutor. You're indirectly killing yourself if you wait every minute or for a week before your boss teaches you a new technique. 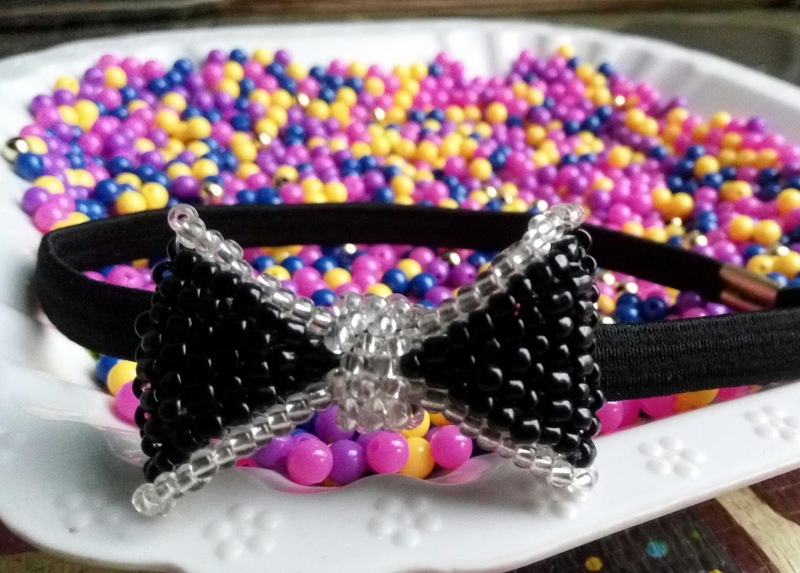 I learnt some Styles like beaded bow, kumihimo bracelets and little Styles from YouTube. Yeah! We know how expensive data is but nothing good comes easy. You have to pay for it. Visit sites where you can learn latest designs and you're also good to go. As an entrepreneur, you have to be up and doing particularly when it comes to trending styles. 6. NOTHING GOOD COMES CHEAP: Yes! Nobody got to limelight at the snap of their fingers. They paid a price for it. They spent their time, finance, energy and it earned them a lot of patience heading to the top. You want to be an entrepreneur, get it straight. Learning doesn't come cheap. I might say you'll spend 20k and you'll find out you've spent more than 80k. That's business for you. 7. GOD'S GRACE: this is the most vital thing needed to keep you strong. You need wisdom to pull through and this only comes from God. You put him as your first and he'll never disappoint you. Hi Ola, good to have you back. I like your point on writing out ones plans or goals. If you don't write your goals down, they’re not goals, they’re just dreams. your thinking to the next level. It incorporates all learning techniques and stimulates creativity. Write down your plans or goals today somebody!